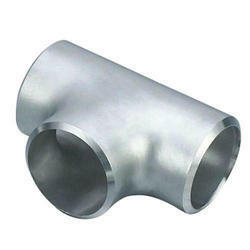 Leading Exporter of super duplex equal tee and reducing tee from Mumbai. ASTM A 234 WPB , WPBW, WPHY 42, WPHY 46, WPHY 52, WPH 60, WPHY 65 & WPHY 70. ASTM An 815 UNS NO S 31803, S 32205, S 32760, S 32750.